Our Standard Diamonds in Our Stock Rings is Colour G-H, Sl -Sl3 in Clarity and Excellent to Very Good Make/Cut unless specified otherwise. Welcome To diamondsngold Loose Diamond selection, We can supply you “Quality Certified” Loose Diamonds online to suit your exact desires & budget. Not one of our diamonds are laser drilled, colour enhanced or anything alike; Our Aim is “Quality” direct to you . 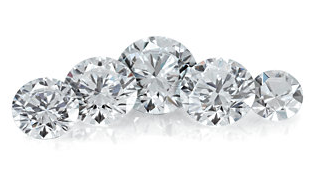 Inspect them independently for you in skype calls with Diamond Professionals, then pass this information to you . Never will you be disappointed, we will help you understand the whole process of securing that special piece for your loved one to the finest detail. Come join us Enquire Now & send us details of exactly what you want .